The Baleno was a mid-size sedan always known as a favourite among enthusiasts, especially for its powerful G16 B engine and its rallying pedigree. But it now comes in the form of a stylish, premium hatchback that’s aiming for cars like the i20 and Honda Jazz. Being in an extremely competitive segment, the Maruti Suzuki Baleno will have to deliver in our Maruti Suzuki Baleno review…. Maruti Suzuki have ensured that the Baleno looks stunning. The bonnet has a nice curve to it; the swept-back projector headlamps look very stylish along with the LEDs. At the front, the V-shaped grille gets chrome inserts bordering it, giving it a classy look. In profile, the Baleno is quite muscular and attractive. Along the side, there’s a crease running the length of the doors on the lower half and the curved C-pillar looks quite nice too. With its contemporary design, we had noticed the Baleno has good presence while doing our Baleno review. Thanks to the large dimensions, the Baleno is a huge car even on the inside. There is ample legroom at the rear, while the front seats provide ample support and are very well cushioned. However, the rear bench felt a bit too flat and lacked under-thigh support. Boot space at 339 litres is way better than that of the Hyundai i20’s. The all-black theme inside the car is very likable, and there are nice silver inserts bordering the air-conditioner and lower centre console. The 7-inch infotainment touchscreen display gets your attention at first, and gets Apple CarPlay. Quality of plastics could have been better as it lacks the feel-good factor, and the absence of AC vents at the rear is a bit of a let down. The Baleno also features a high-definition LCD instrument cluster display that highlights all kinds of driver information. The Baleno is powered by three engines: a 1.2-litre, petrol engine that makes 83bhp and 115Nm of torque, a 1.3-litre diesel engine that produces 74bhp and 190Nm of torque and a 1.0-litre turbo-petrol engine that makes 101bhp and 150Nm of torque. Paired to all engines is a 5-speed manual gearbox, or a CVT automatic transmission. 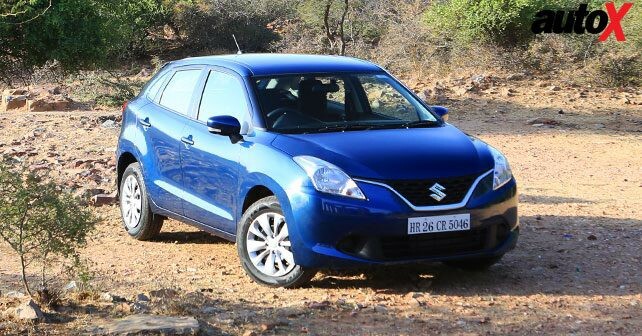 We drove the 1.3-litre diesel engine for our Maruti Baleno review. What was immediately apparent was the reduction in NVH levels while the car was idling. The Baleno is pretty enthusiastic, but it tends to run out of breath on the highways. With turbo lag being prominent, we had to shift gears pretty often, but the car responds to gear shifts instantly. On the handling front, the Baleno took us by surprise. The car doesn’t wallow, and it tackles corners in a manner no other Maruti can. Ride quality is impressive too, with the Baleno absorbing bumps without any issues. High-speed stability is good too; however, there is a lot of wind noise that can be heard. On the safety front, it gets dual airbags, EBD and ABS as standard across all variants. Priced between ₹ 4.99 — ₹ 8.11 lakh (ex-showroom, Delhi), the Maruti Suzuki Baleno is a sure shot at the premium hatchback segment. As mentioned earlier in our Baleno car review, it has got great looks, it drives well, ride quality is impressive and performance is good too. 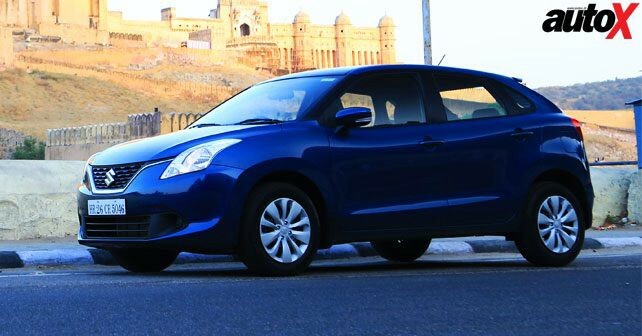 The Baleno offers great value in the quintessential Maruti manner. Hi Guys, I am shelendra Rathore from India..